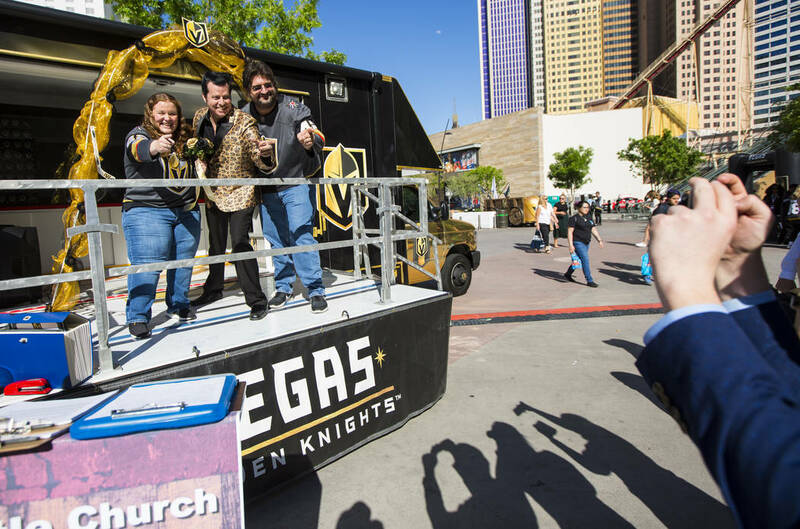 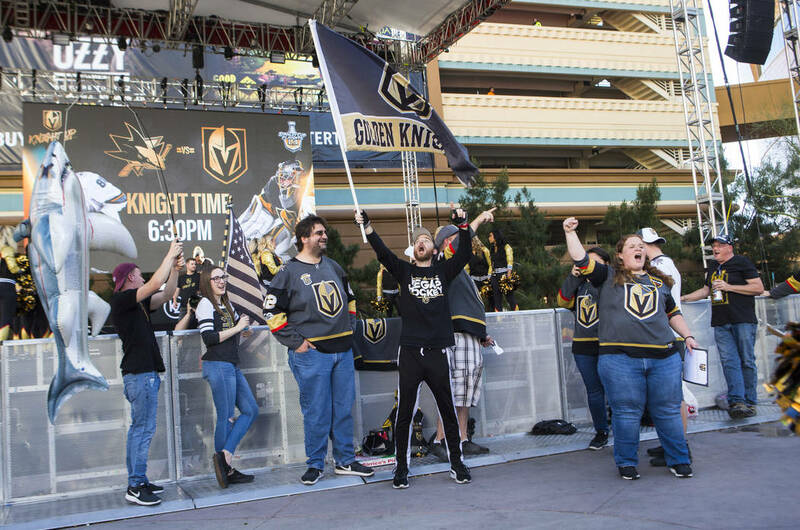 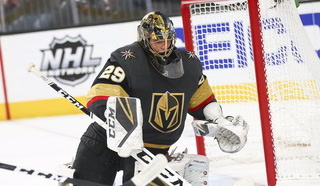 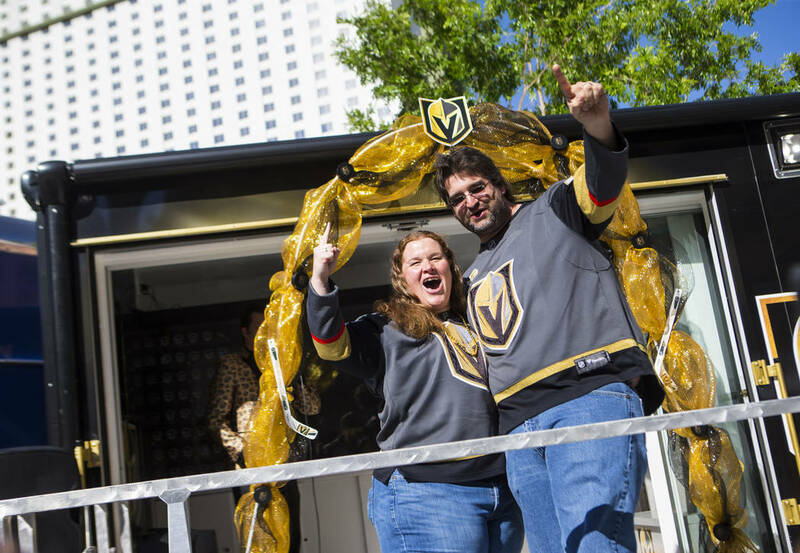 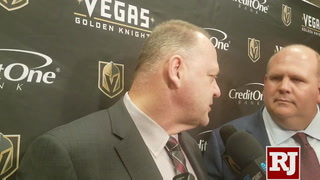 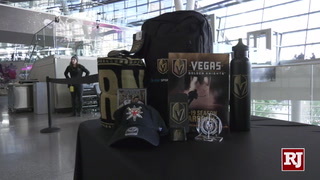 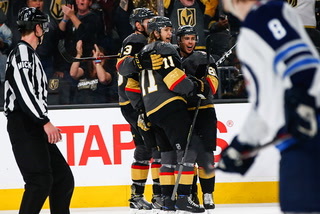 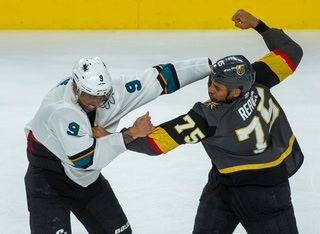 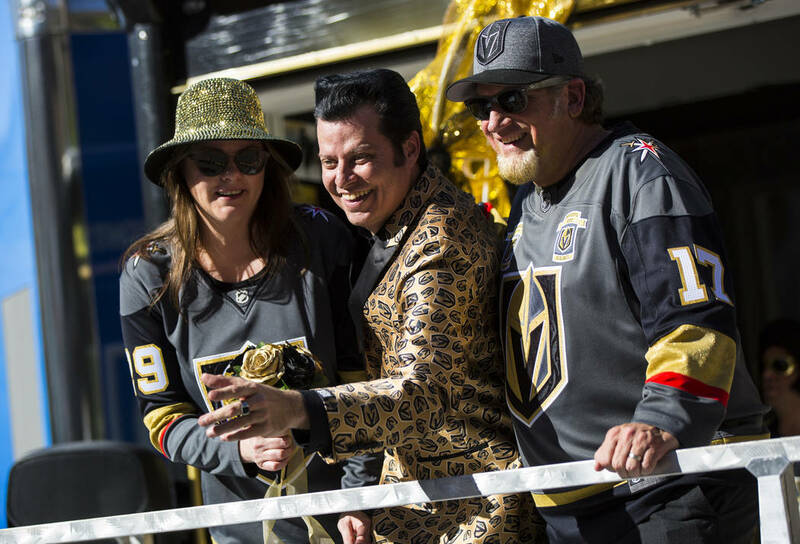 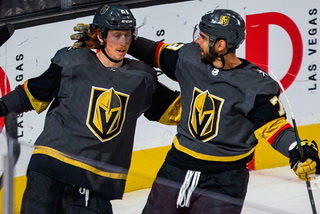 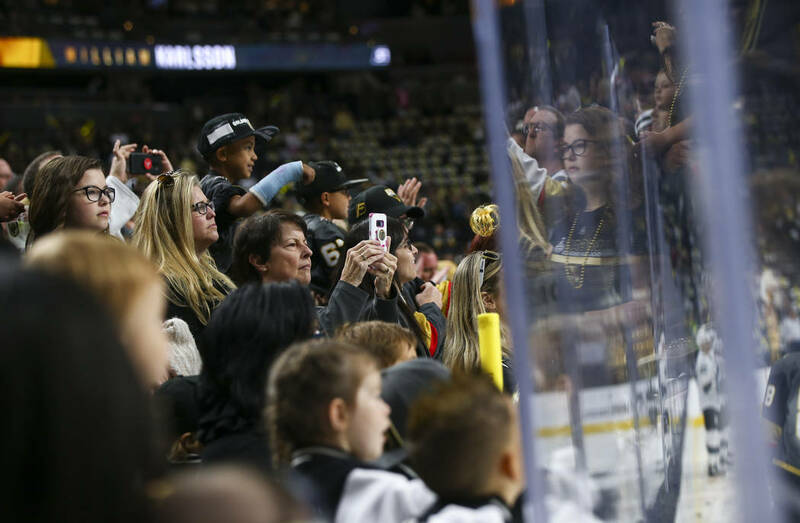 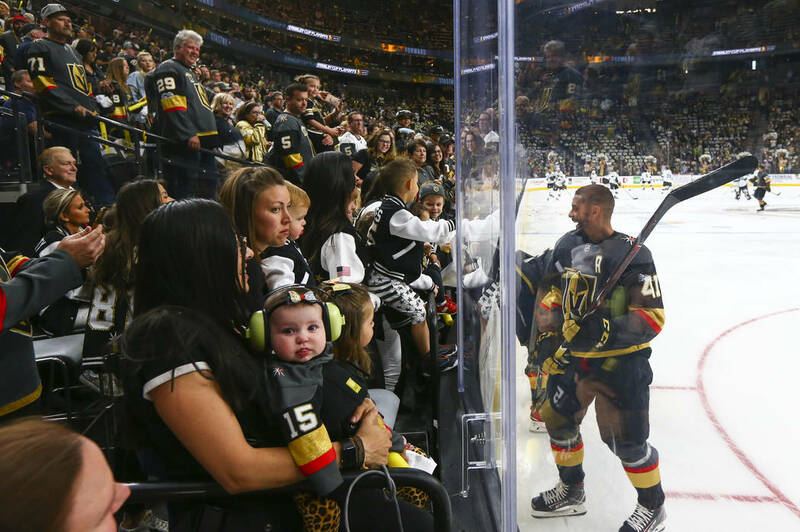 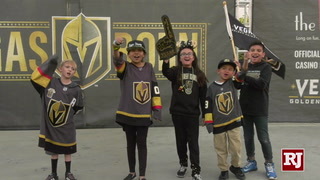 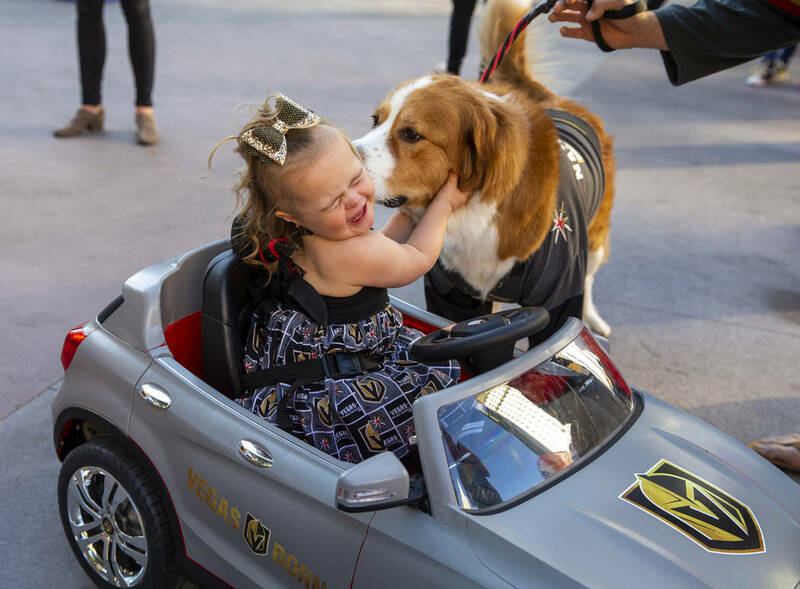 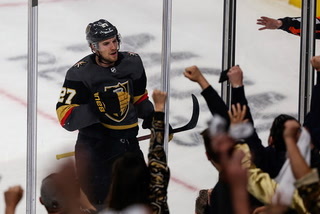 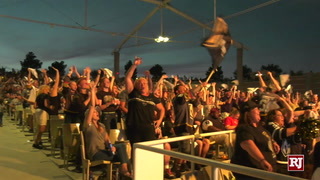 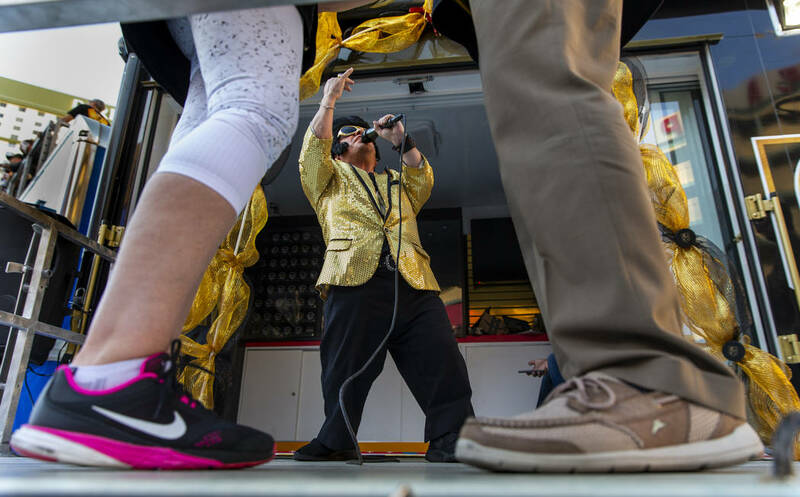 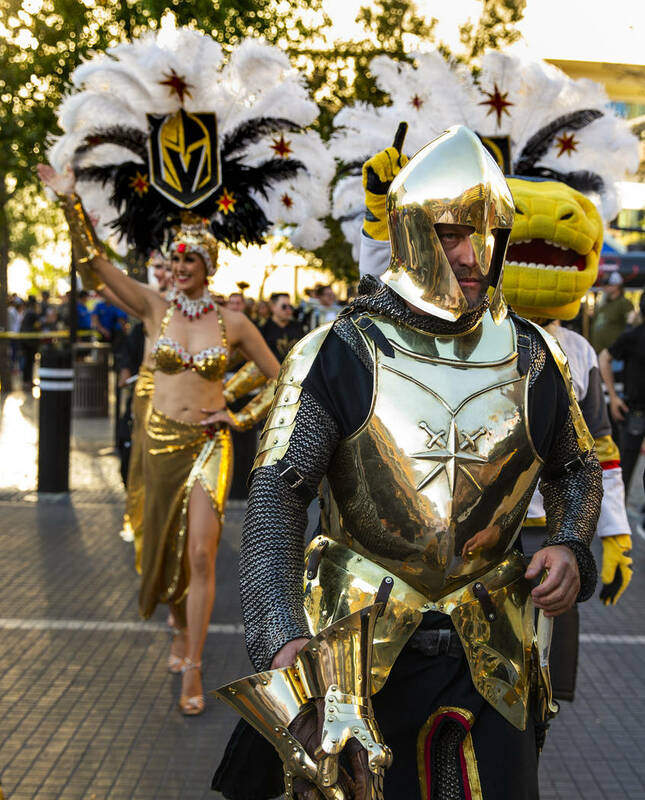 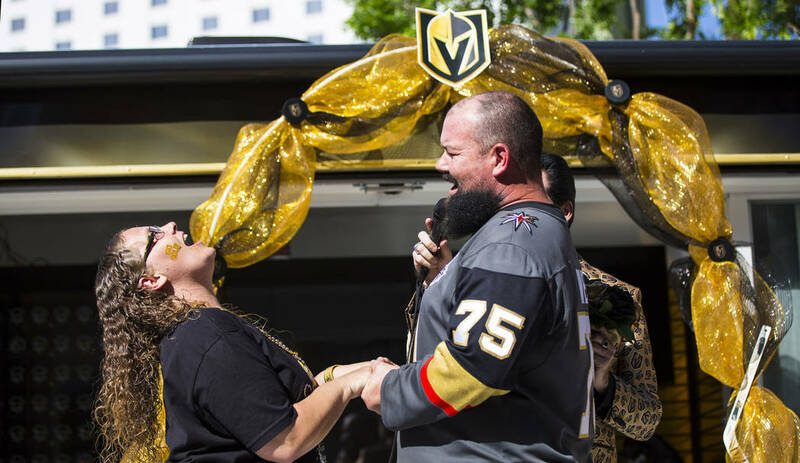 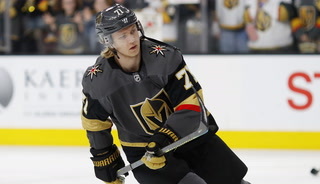 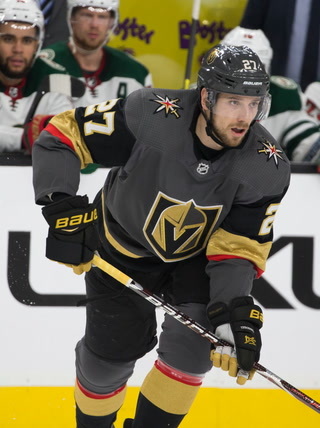 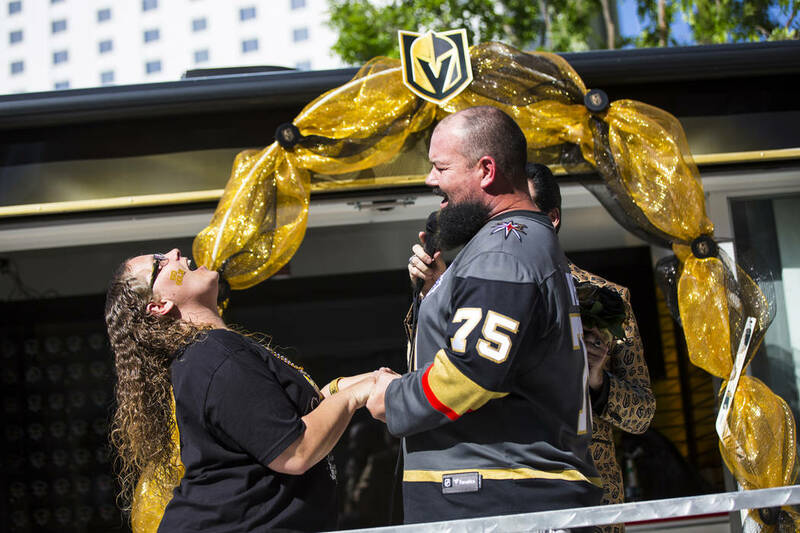 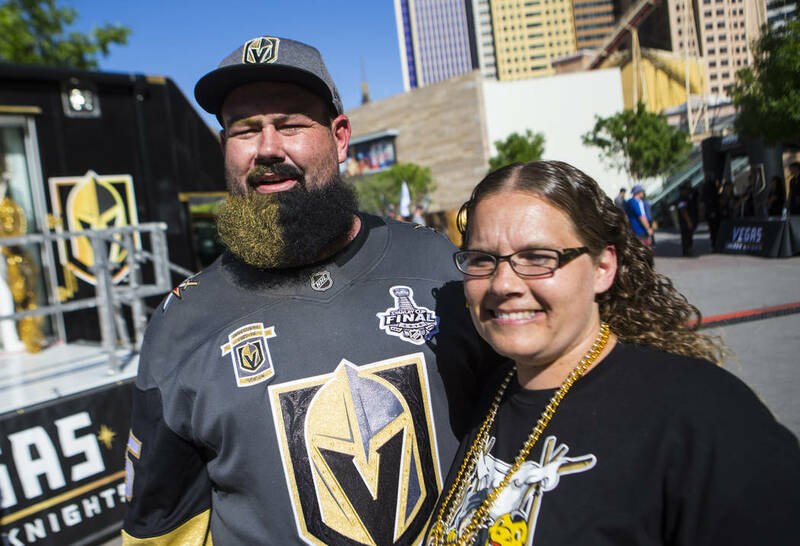 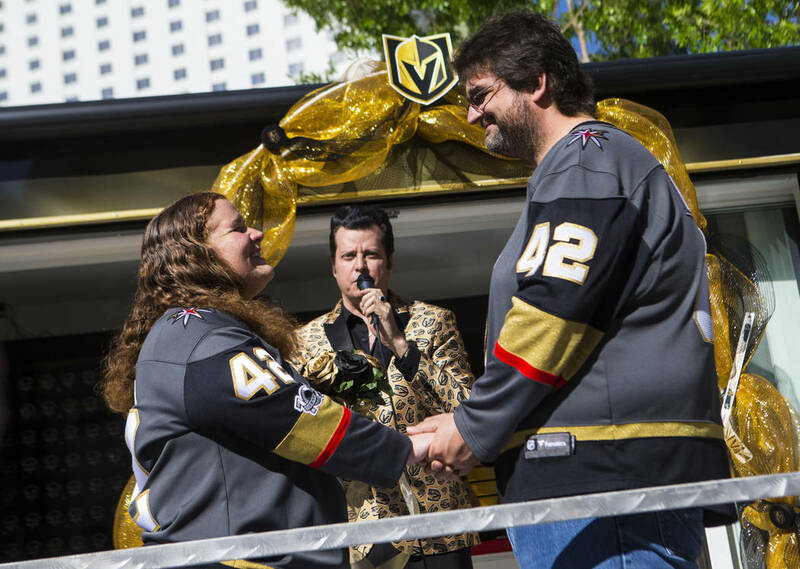 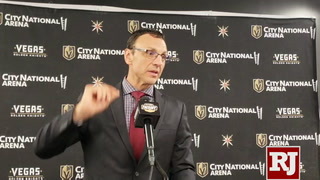 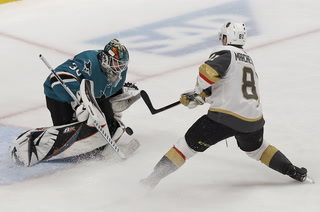 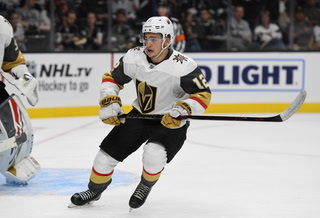 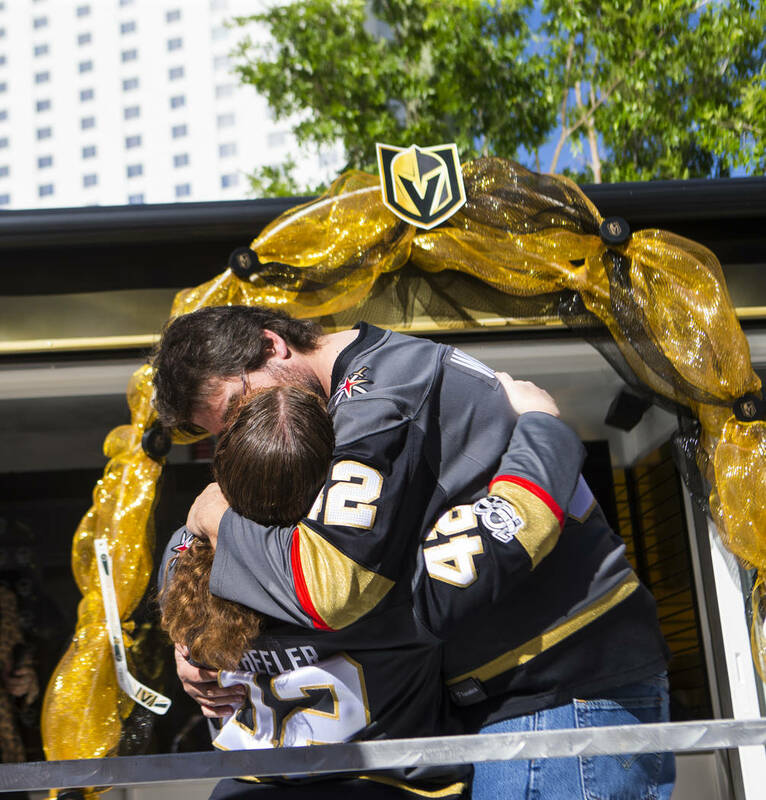 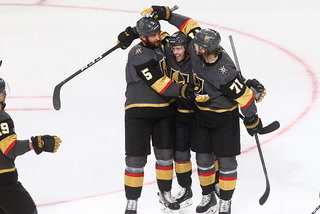 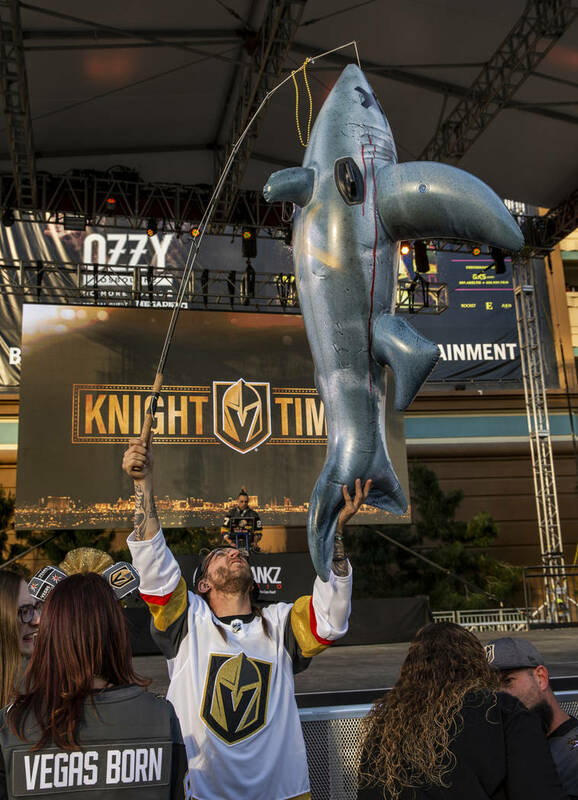 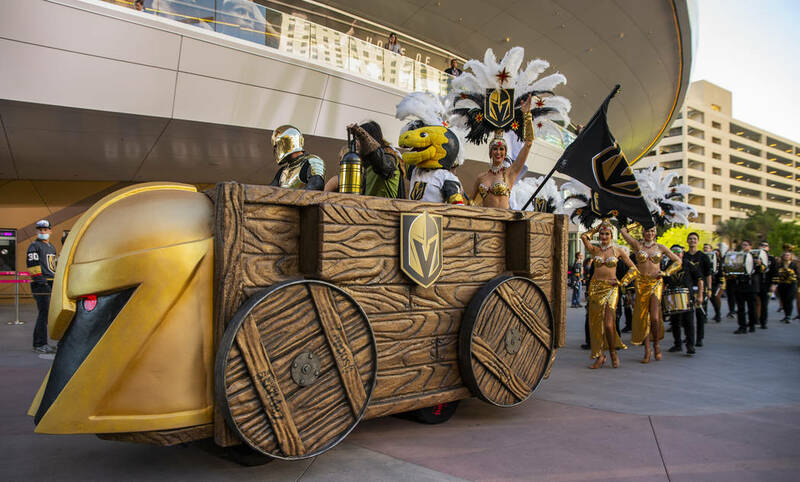 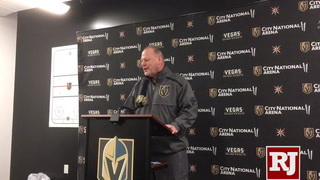 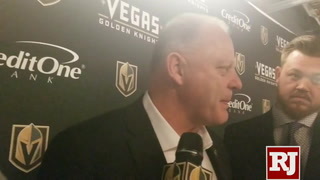 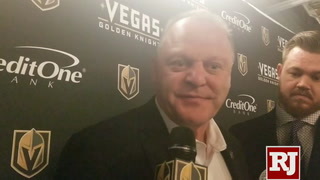 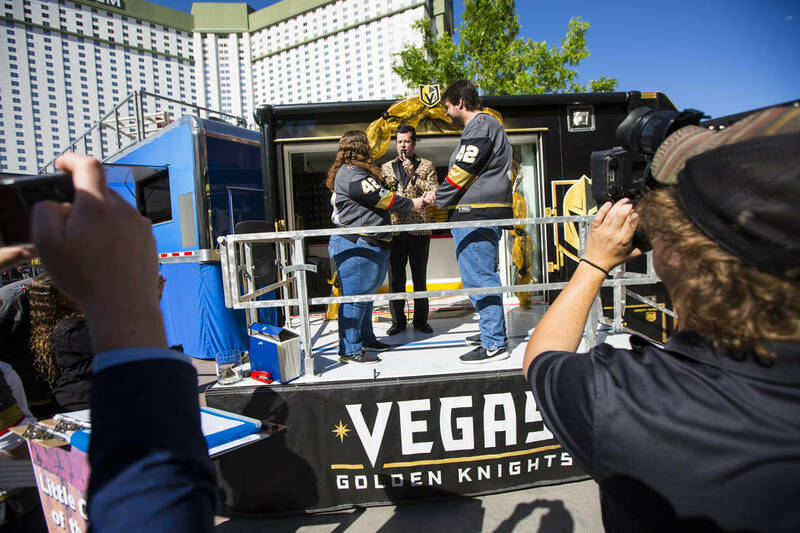 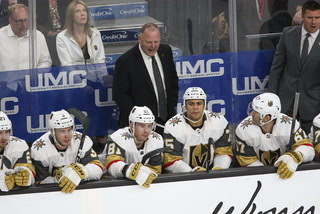 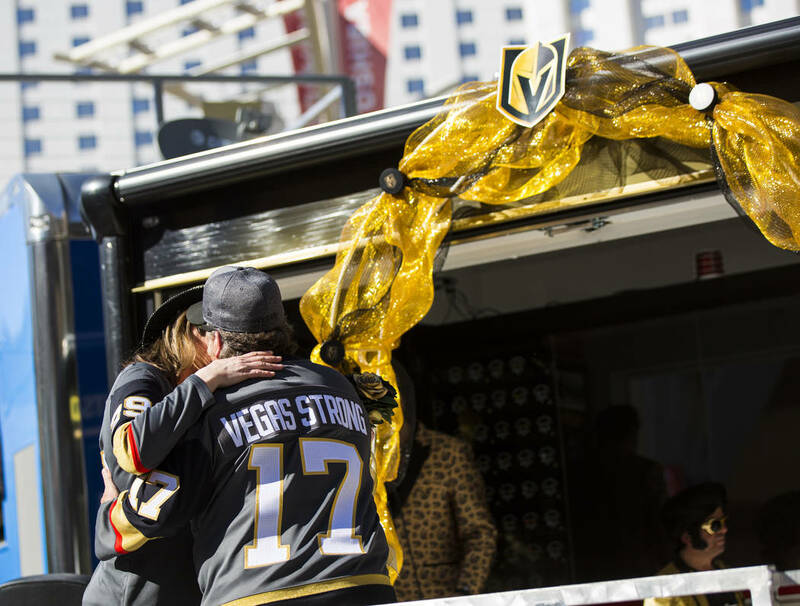 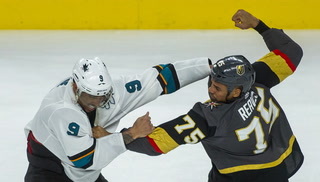 Couples in gray and gold pledged to shower each other with a “Fleury of kisses” when they renewed their vows at Knights-themed ceremonies outside T-Mobile Arena ahead of Game 3 between the Knights and the San Jose Sharks. 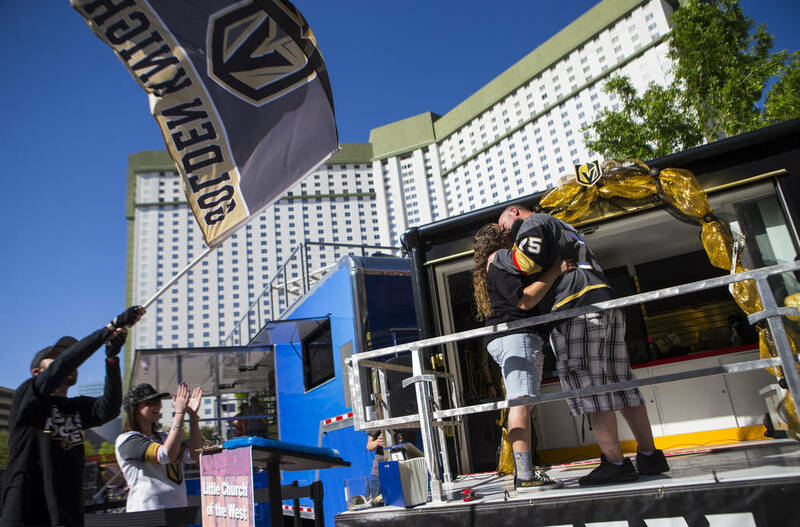 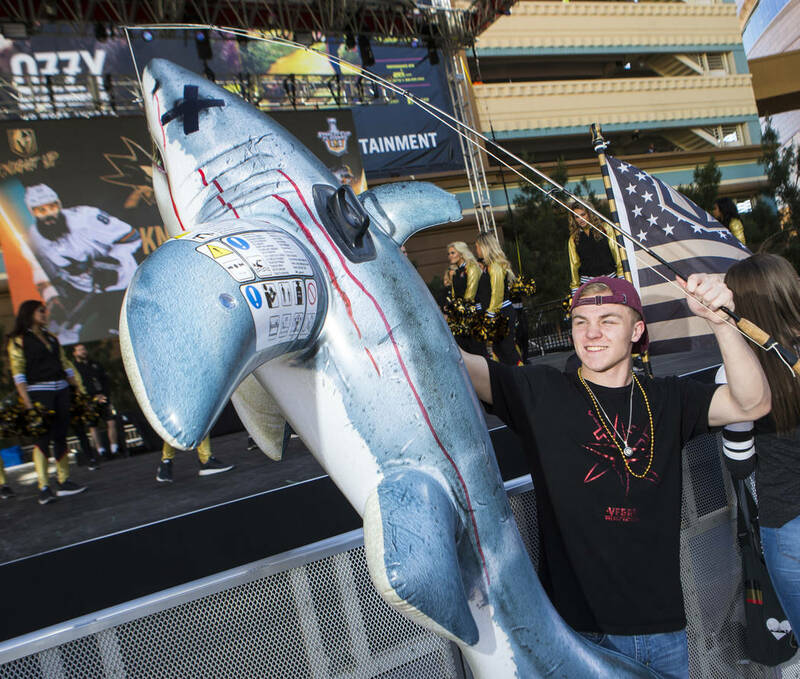 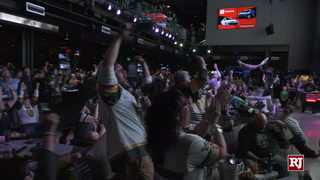 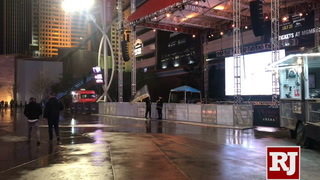 Fans had the chance to reaffirm their love for their spouses (and favorite team) under the golden arch set up in Toshiba Plaza. 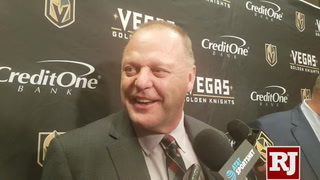 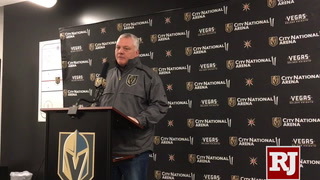 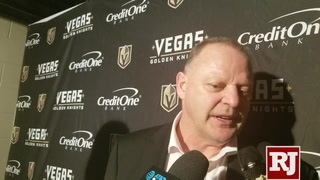 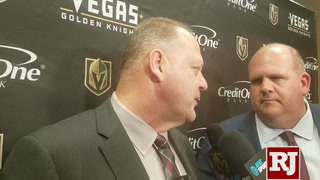 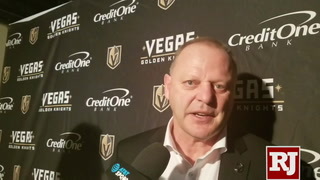 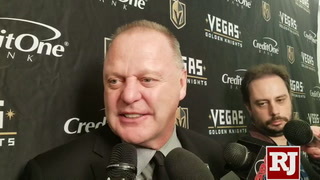 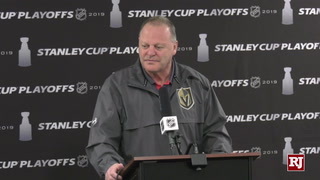 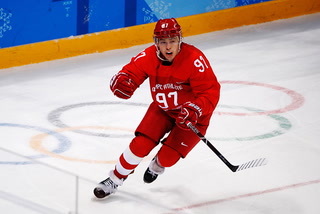 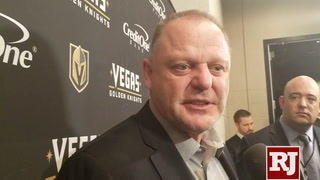 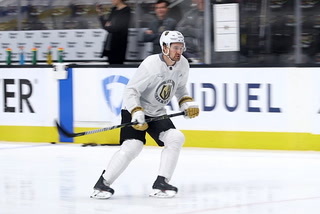 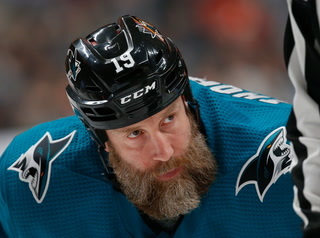 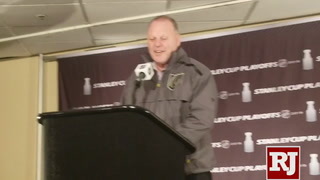 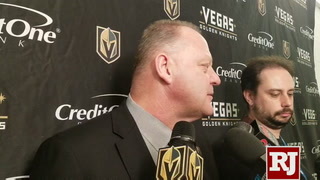 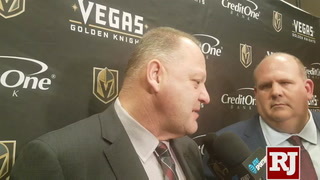 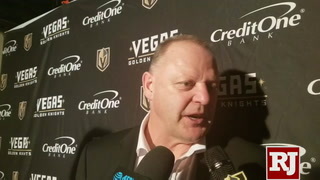 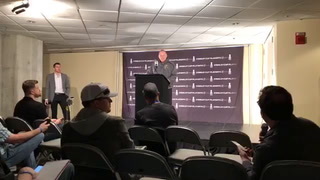 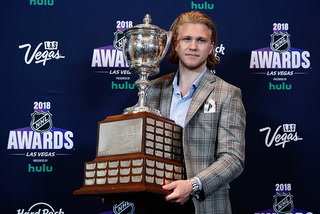 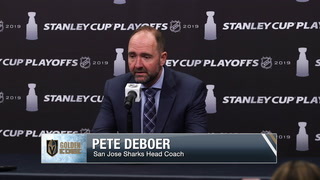 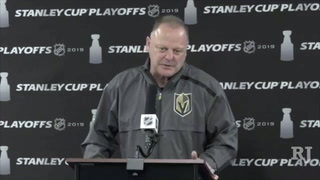 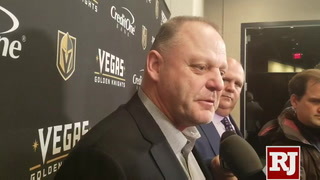 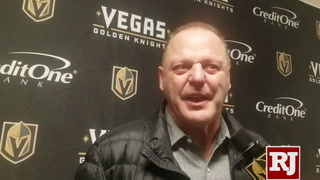 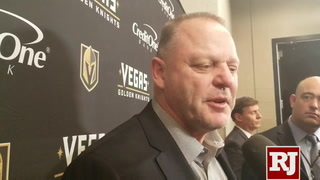 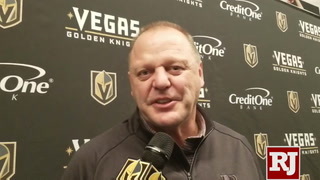 The only way to follow up last year’s Stanley Cup Final run is to win the whole thing this time, Andy said. 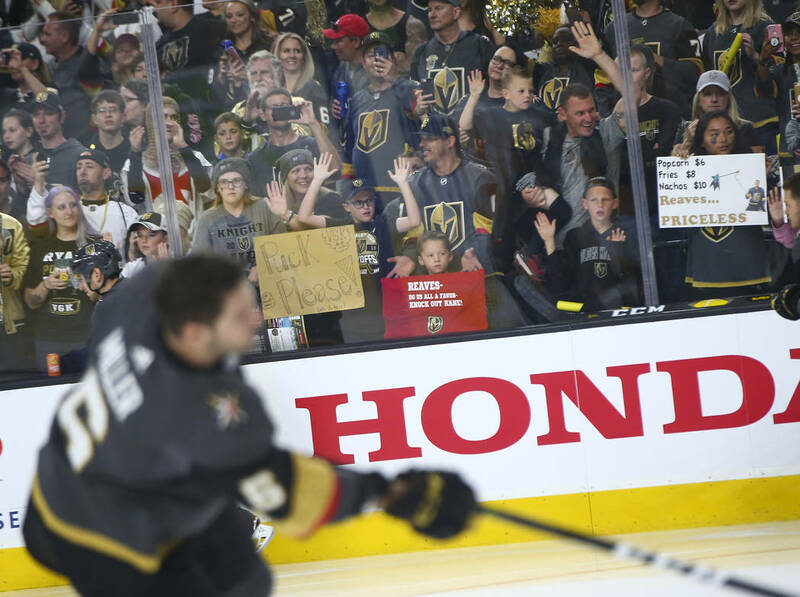 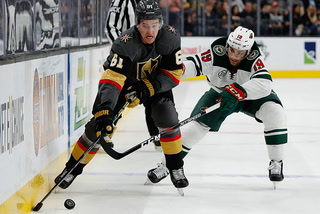 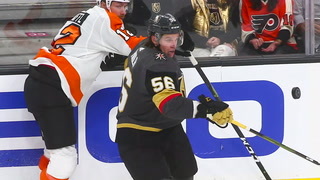 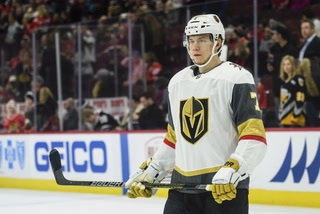 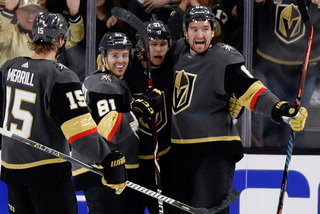 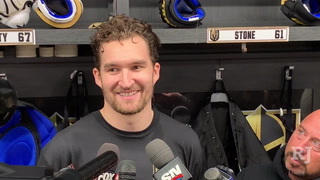 They waved glow sticks and rally towels before the puck dropped, and they had barely sat down before Mark Stone’s goal 16 seconds into the game brought them back to their feet. 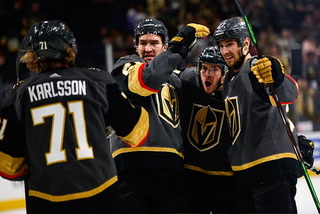 Some of them went home without their hats, as dozens of fans tossed them onto the ice following Stone’s third goal of the night.